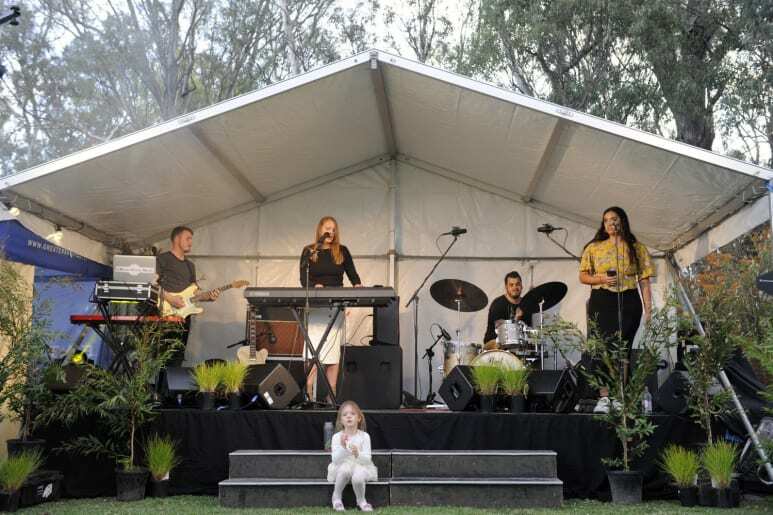 Centre stage: Artist Tenielle McKenzie performs with a live band. 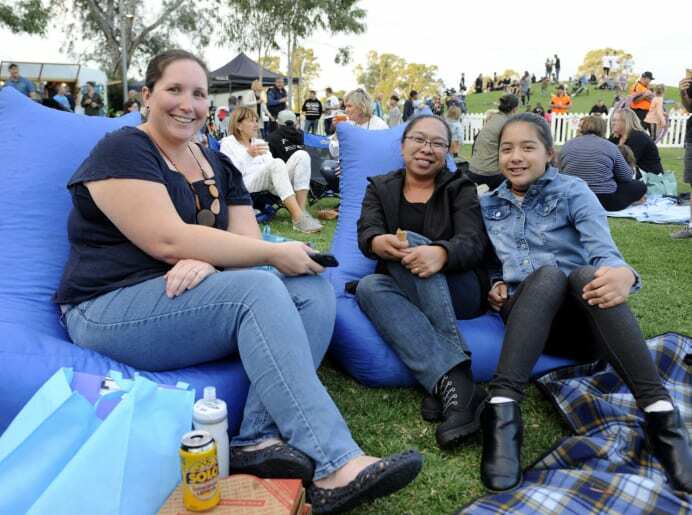 Relaxed: Shepparton’s Stacey East, Lissette Payne and Megan Payne, 11, kick back in a bean bag. 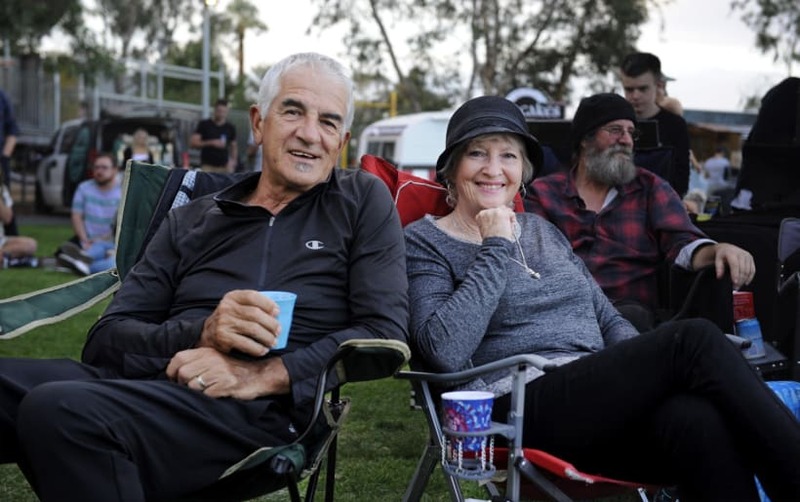 Chilling out: Nick and Keren Traianidis enjoying the relaxed night out. 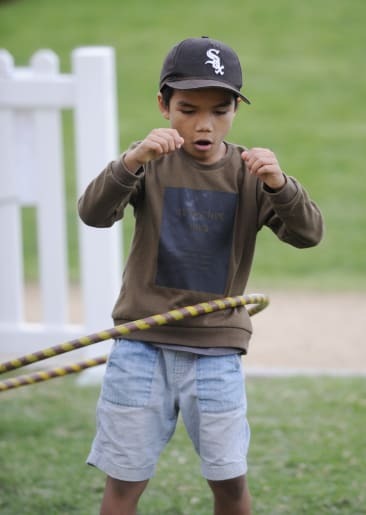 Moving: Shepparton's Haqimi Helmizen, 9, gets in groove. 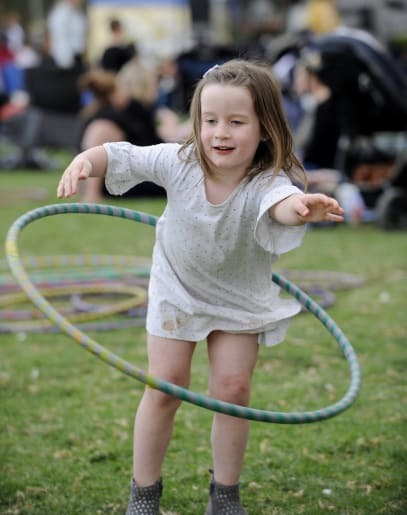 Twist and shout: Kialla’s Amelia Colins, 4, gets her hula-hoop on. 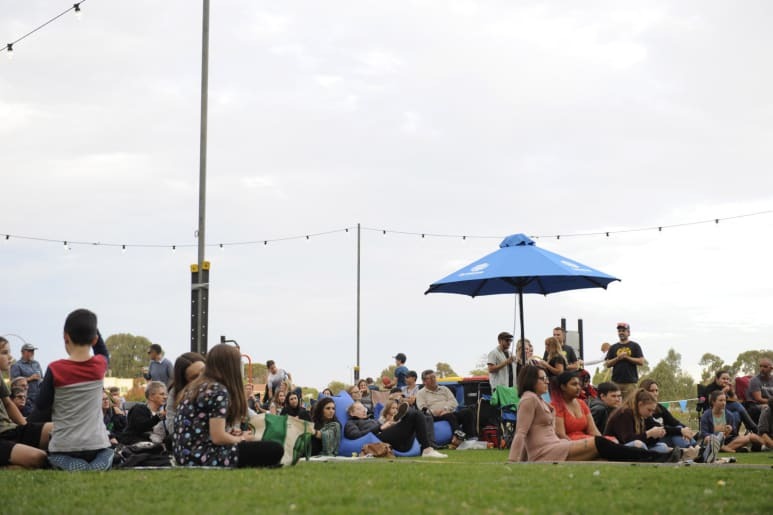 Nice setting: Relaxed vibes at Goulburn Vibes.